At the beginning we just wanted to pay tribute and demonstrate solidarity. It started at an after work drink in one of Yaoundé’s pubs, a group of professional friends observed with regret how distant (emotionally and geographically) the rest of the country was from the horrific realities of the war on terrorism in the country’s northernmost tip. As journalists a few of us had been to the battlefront and still heard the ringing sound of gunshots, and shared the tension felt by the soldiers each day and night. But this anxiety is nothing compared to the deep pain of actually losing a loved one in the fighting. Guibai Gatama had felt this pain so many times. As a northerner some of his family members had been slaughtered by Boko Haram terrorists, as a journalist he had shared the anxiety of the soldiers and could measure the sacrifice they are making protecting our homeland. 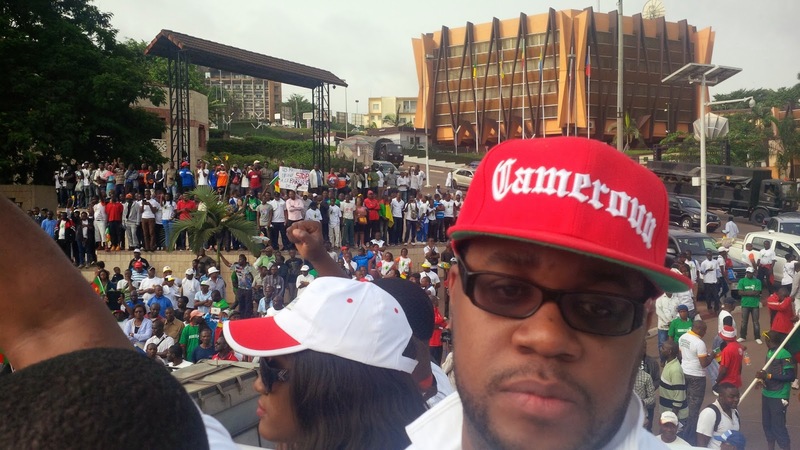 We didn’t expect five to ten thousand Cameroonians to show up on the May 20 Avenue in the heart of Yaounde on a fine February 28 morning, two hours before the Great Patriotic March most desperate for the event’s t-shirt. The day before had been frantic. 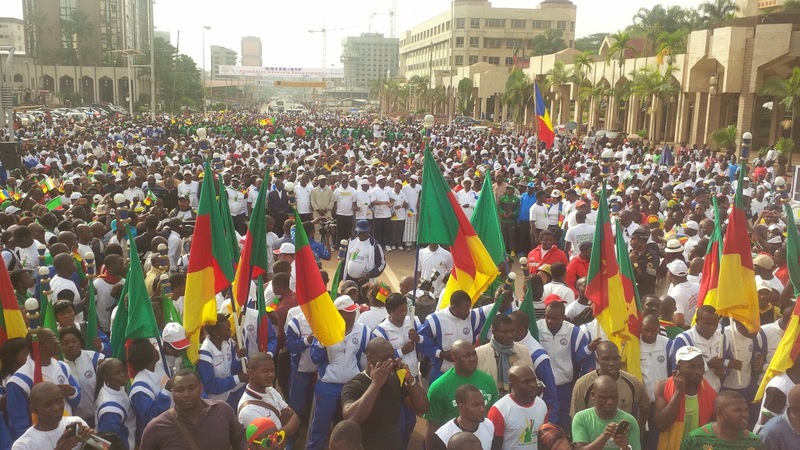 The communication of the United for Cameroon Coalition on its support march for the population of the Far North and the Cameroon army had been extensive. News magazines, tabloids, broadcast, online and even social media was awash with the call for an apolitical demonstration of patriotism and solidarity. Producing gadgets, t-shirts, flags, banners, and hats for the event became more difficult as the enthusiasm grew and we raced against the clock. In a context of war, suspicion, and politicking it was a bold move, that a rainbow of journalists from public and private media and various regions of Cameroon take the challenge of uniting the country over a very divisive and opaque conflict. To say loud and clear that the war against terrorism, is not a war opposing Christianity to Islam, nor a war of the northerners by the northerners, but a war all of Cameroon is waging against a threat to its civil liberties and freedoms, and paying a heavy price for it. ver 200.000 Nigerian refugees were pouring in. 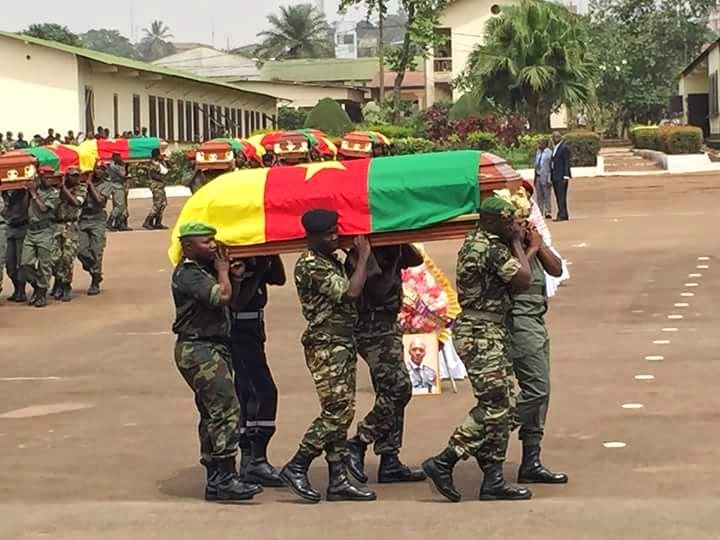 News of every new casualty on the war front hurt even more in the face of stinging criticism from colleagues, politicians and activists, who seemed scared to see a united and strong Cameroon chanting “Boko Haram you cannot dare us!” We had called the nation’s attention, not only to the war, but on its victims, and had revived a dormant national conversation on citizenship and solidarity. Seven years ago, on the same date violent clashes had erupted in the major towns, what has become known as the 2008 Riots, over the high cost of living. Young Cameroonians were killed, maimed, forgotten. We owe them tribute, and forever remember their sacrifice. In 2015 we picked a random date February 28 to honour other deaths, civilian and military. A date that scared even the state, infuriated our critics, but for us was simply a coincidence, and we did not make only friends holding on adamantly to the Great Patriotic March on that day. While we met for about a month planning it, we agreed on some core values, no profit-making, no political messages, just a united for Cameroon support and solidarity message to the population of the Far North and our soldiers. With youth leaders we hammered down our convictions. With government members we persuaded on our purpose, with the media we raised awareness on the horrors of the violent war on terrorism. In social media, we popularized the hashtag #U4CMR, on Facebook we pushed our likes up to 3,514, on WhatsApp we invited friends and contacts to save the date, and two days to the March we sent out 3000 smses in the Centre region. 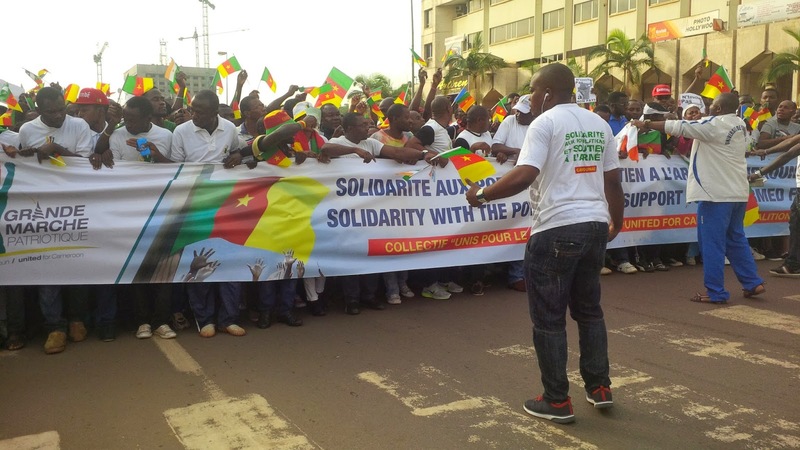 People who doubted the purpose, though obvious, of our march went beyond promising to attend, but frantically seeking for t-shirts, many asked how to join the coalition, others travelled from around Yaounde and even Douala to attend. 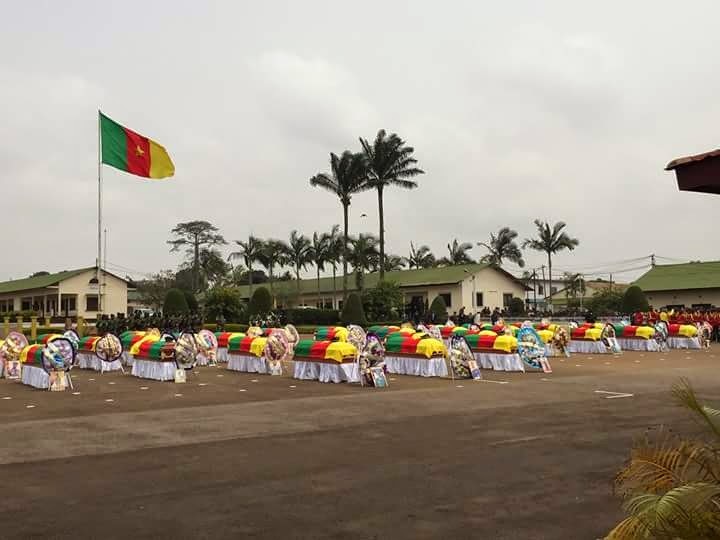 As I shared the first shots of the emblematic May 20 Avenue on social media that morning, some wondered where were the participants, each passing minute Cameroonians of all walks of life from around the seven hills of Ongola poured into the city-centre. Within an hour, music icons, politicians, business leaders, scholars, and above all the people, young, aged, rich, poor marched into the Central Post office roundabout happy to march for Cameroon, and Cameroon alone! This can only happen after a messy fight to make enemies into allies. Will the solidarity fizzle as fast as it flared? Thanks for this review..It is great to see the show of patriotism in pictures..The fact that the match was organized on the same day as the massacre from a few years sparked up debates on FB..And my comment was that this should not be over analyzed and people should drop the theories and controversy and just be positive about this for what it is..An expression of great patriotism which doesn't happen much it Camer.